F is for Family Season 3 Trailer Has Arrived | Nerd Much? 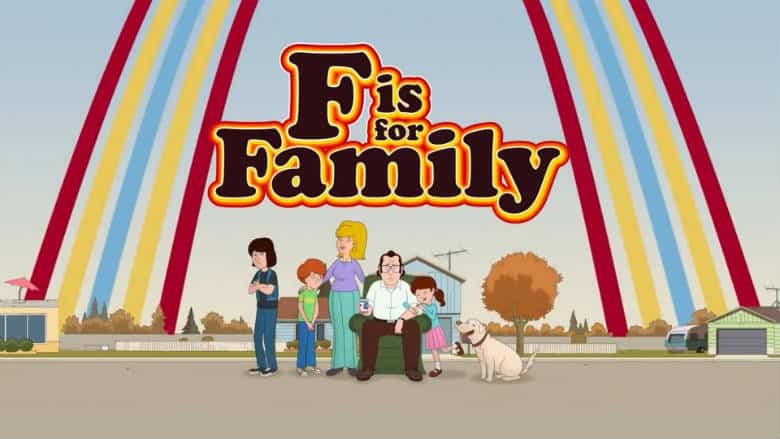 From what we can tell within the F is for Family Season 3 trailer, the new episodes look to document the arrival of summer for the Murphys. With the new season comes a new neighbor that Frank immediately hits it off with. But as usual, Frank’s other neighbor Vic finds a way to screw things up for him. The F is for Family Season 3 trailer also hints at other storylines for the Murphys. With Sue, Kevin, Bill and Maureen all getting a few moments to shine. It comes to us by the creative team of comedian Bill Burr and writer Michael Price. It’s produced for Netflix by Gaumont International Television and Vince Vaughn’s Wild West Television. To date, the series has aired 16 episodes across 2 seasons. It has a pretty robust list of talent providing voice work. Bill Burr provides the voice of the family patriarch, Frank. Joining him on the main roster is Laura Dern, Justin Long, Haley Reinhart, Debi Derryberry and Sam Rockwell. There are other big names that voice recurring roles from time to time too. They include Mo Collins, David Koechner, Kevin Farley, Gary Cole, Joe Buck, John DiMaggio, Allison Janney, T.J. Miller and Michael K. Williams. There’s only a couple of weeks before the series returns for Season 3. The new episodes begin streaming on Netflix Friday, November 30th.